One added advantage to TTC’s “Daily Writing Prompt” is that they can easily be displayed through an LCD projector in your classroom. This eliminates time you would have to spend at the copy machine. All of the prompts can easily be printed as well. Be sure to look over the different options we provide you for printing. You will find that our prompts are written for different grade levels. We hope to continue to adding new creative writing prompts that will meet the needs of both primary and intermediate students. You may find that some of them don’t explicitly state that days event. You may want to refer back to the monthly events calendar for this information in order to share it with your students. 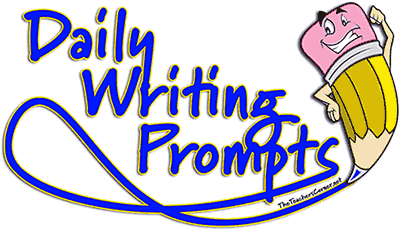 January Writing Prompts - Writing Prompts include: author J.R.R. Tolkien, Benjamin Franklin, Home computers, and much more. February Writing Prompts - Writing topics include: Groundhog Day, the Super Bowl, Valentine's Day, The Pony Express vs. email, and more. March Writing Prompts - Writing Prompts include: Yellowstone National Park, Mardi Gras, Harriet Tubman Day, St. Patrick's Day, Poetry and more. April Writing Prompts - Including April Fools Day, signing of the Civil Rights Act, Lincoln's Assassination, Earth Day, Arbor Day and more. May Writing Prompts - Teacher Appreciation, Cinco de Mayo, Lewis & Clark, World No Tobacco Day, and more. June Writing Prompts - Donut Day, Henry Ford and the first car, Donald Duck, Anne Frank, the 'Happy Birthday' song, and more. July Writing Prompts - Prompts include: the first Zeppelin, U.S. Independence Day, Apollo 11 and living on the moon, Sesame Street, Fingerprints, patents and more. August Writing Prompts - Writing prompt topics include: signing of the Declaration of Independence, National Joke Day, Amelia Earhart, I Have a Dream Speech, and much more. September Writing Prompts - Topics include: National Book Month, the introduction of the color T.V., the Treaty of Paris, September 11th Day of Remembrance, Rosh Hashanah, Good Neighbor Day and more. October Writing Prompts - Writing prompts include: Comic Strips, Fast Food, Earthquakes, International Red Cross, the Stock Market Crash of '29. and more. November Writing Prompts - Prompts include: Daniel Boone, Elections, Basketball, the invention of the X-Ray, Women's Rights, Mickey Mouse's Birthday, the Gettysburg Address, and more. December Writing Prompts - Writing prompt topics include: Rosa Parks, the phonograph and CD's, Human Rights Day, Snow and the first day of winter, and more. "101 Best Websites for Writers"
Don't miss our other Monthly Activities, Lesson Plans, and Resources. We are looking for feedback on this new feature, so please EMAIL any comments.